So, it's finally time to talk roller lash! This product has been the exciting little addition to my makeup bag for the past few months that I've been dying to share. It's a new mascara from Benefit, the makers of the current No.1 mascara, they're real! You are probably asking yourselves the exact same thing that I was when I first laid eyes on it; why on earth would you bring out a mascara when you already have one that is insanely successful and the luxury leader?! Well, the great thing about Benefit is that it's a very honest brand. They put their hands up and openly admit, they're real! is not for everyone and there is scope for something else to help out those gals who don't agree with the current No.1. The difference between they're real! 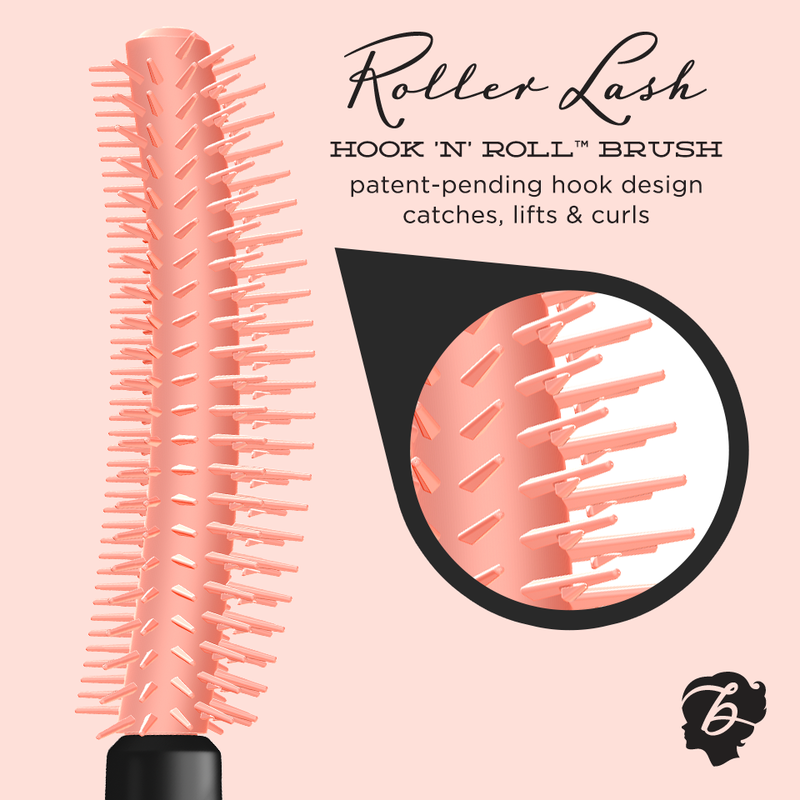 and roller lash, is that the latter has a lighter, wetter formula and works with the patent-pending hook 'n' roll brush to lift the lashes and curl them so there is no longer a need for fiddly eyelash curlers! Whereas the formula of they're real! is thicker and for finer lashes, it can weigh them down and make it harder for them to look lifted. In all honesty, I never use eyelash curlers because I didn't really think I needed to. I was wrong. The brand new roller lash gave my lashes such an insane curl that I had no clue I could achieve. It has quickly become my favourite everyday mascara, that can easily be layered for more intensity. Don't get me wrong, they're real! will still be present in my makeup collection and will most certainly be coming out on occasions when I'm after dramatic, voluminous lashes. But roller lash will be my go-to for more natural, wide-awake looking lashes. Above: left eye with no mascara, right eye with one coat of roller lash. Bottom: both eyes with one coat of roller lash. In case you're wondering, roller lash in not a waterproof mascara. However, while I do find it easier to remove than the notoriously tough-to-budge they're real! it has great staying power and in my months of using it, I've never had a 'fall-down' or transfer mishaps (a hugggggeeeeeee plus!). 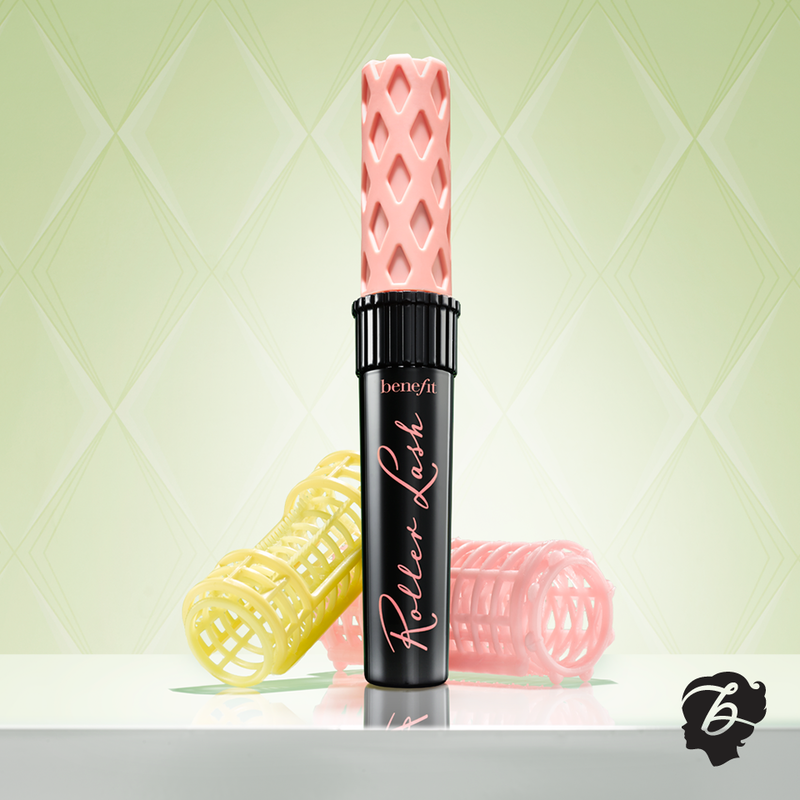 The official UK release date for roller lash is 26th February. However, you can preorder the March issue of Elle magazine and receive a deluxe mini for FREE! Preorder yours HERE. I'm going to buy one myself! Both mascaras retail for £19.50, an extremely reasonable price for a high end mascara; especially for ones that deliver top results! Your lashes look lovely! The thing I look for in a mascara is definitely the curl, as well as length. I love the look and sound of this mascara and I'll definitely try to grab it from the Elle magazine when it's out! I'm so excited for this mascara! I never liked They're Real, it never worked for me, but this sounds amazing! No clumps and full volume! Ooohhh eemmm geeee, I cannot wait to give this a try!